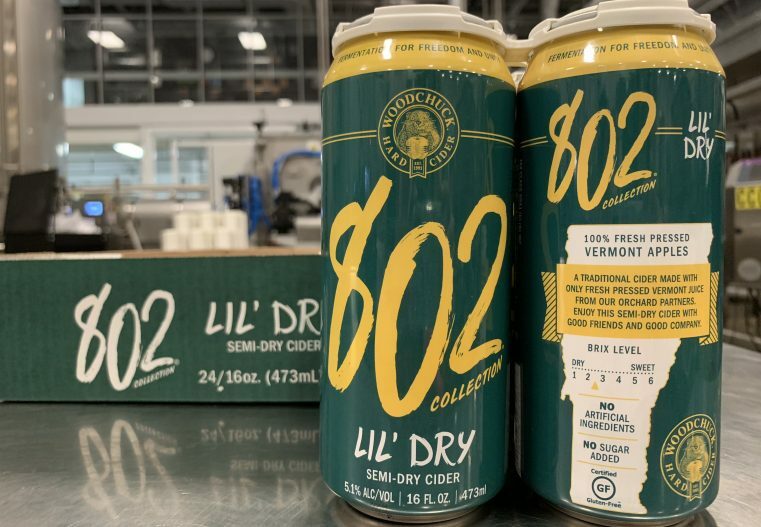 Woodchuck Hard Cider’s latest foray into boozy appledom is a planned collection of ciders called the 802 Collection. The concept: All ciders in the lineup will be made with only Vermont-grown apples. And even though I live in California, I wrangled a couple of cans for review. Let’s dig in! No question, it’s a big winner for the cider category: Bold and clear apples infuse the nose, with nary a touch of that malty barnyard funk that mars many other ciders. It’s not at all sweet, just fresh with unadulterated apple notes. The palate finds a balance that is nearly perfect, with just the mildest amount of sweetness (though there’s no added sugar in the recipe), and a finish that hints at cinnamon. Sure, this is a straightforward, apple-centric cider, but if you can’t enjoy that, well, you should probably have a beer instead.